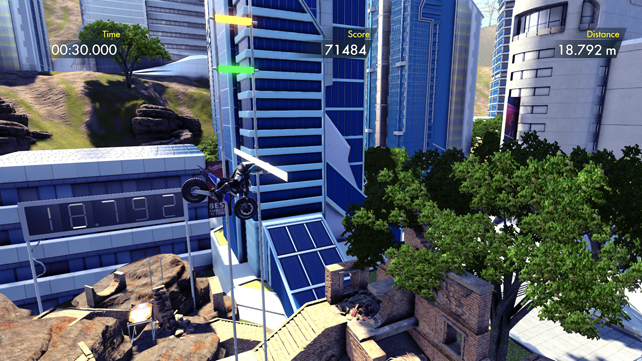 Trials Fusion is out now, should you jump in the saddle or leave it on its kickstand? I’ve never played Trials HD, but had heard good things about it from my Xbox owning friends, so when I saw Trials Fusion was coming out I figured I’d give it a go. Was I right to drop £32 on Red Lynx’s physics based moto-scrambler? 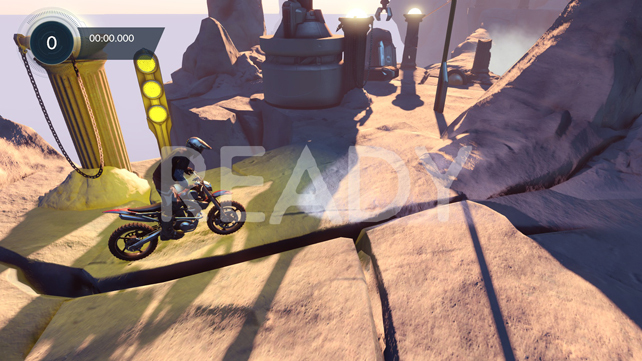 From what I knew about the preceding game I was expecting effectively a far more advanced clone of Kickstart 2 from my very old Spectrum days, which in itself was inspired by an old UK TV show about trials bikers making their way up rocky paths and over logs. This wasn’t off putting, I’ve fond memories of both programmes and realised there was nothing really available like it that I would play (Urban Trials Freestyle has been sat taking up space on my Vita since it was given away with Plus last year). It seems a bit expensive for what is a download game, but realising that includes 6 drops of DLC along the way meant I could justify it in my mind and it ended up in my shopping bag. However, the real meat and challenge of this game is the trials themselves, and I don’t use the word “challenge” lightly. It starts easy, gets you through medium without too much bother, then hammers you on hard. The jump in difficulty is immense when you go from producing a perfect run on a medium difficulty track on your first attempt, to needing over 100 checkpoint restarts on a hard difficulty trial. Getting on to Extreme and you’ll need all the dexterity and reflex you can muster to finish the courses. This is not a game for anyone who doesn’t like to work for their reward. The game is never forgiving, you have to be wheel perfect and in-tune with the physics side or you’ll end up head over front wheel in the dirt, but neither is it unfair. You’re given a system to play with and operate in, the rules are clear, if things go wrong you always feel like it’s your fault and you could have done it better. And this is when it has you hooked. There is one thing that Trials Fusion does that turns it from good to great, the instant checkpoint and restart level options. Tapping circle immediately warps you to your last checkpoint, whilst brushing the left side of the touchpad starts the level again with virtually no lag. These instantaneous actions mean that no matter how badly you’ve crashed or messed up you can be riding again in less than a second, and this is makes it the most addictive game I have ever played. It makes for poor watching, I’ll grant you that. Seeing someone hit restart because they keep falling off every 10 metres is no way to spend a Saturday night, as anyone watching our Twitch feed will testify to. 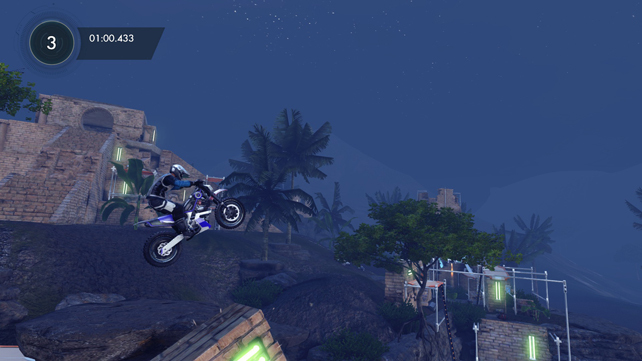 Being able to correct your velocity or positioning every few seconds to make that tricky jump that keeps eluding you, instead of riding through long sections that mean you’ve forgotten what to do when you get there, means the frustration level is actually surprisingly low, though the tension rises exponentially with the more times you retry, and you’re reminded by the counter in the top left corner of the screen constantly. 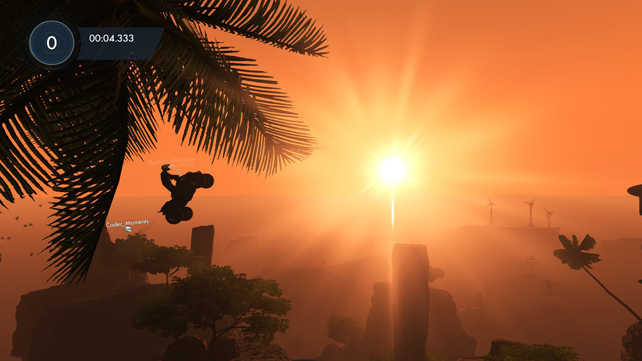 Trials Fusion also throws in something lacking in many other games, outright weirdness that’s feels a part of the game world. There’s a loose story of sorts to the game, fed to you by the robotic announcers and the environments you plow through, and fleshed out if you stick to the end of the credits. Nothing really feels right in the world, and there’s a definite sense of Portal here in the story and physics focus. Again, not a bad thing because the games market doesn’t produce enough of these unique titles for us to sink our teeth into. This manages to be fun, mysterious and engaging from beginning to end, an end that does come relatively quickly. 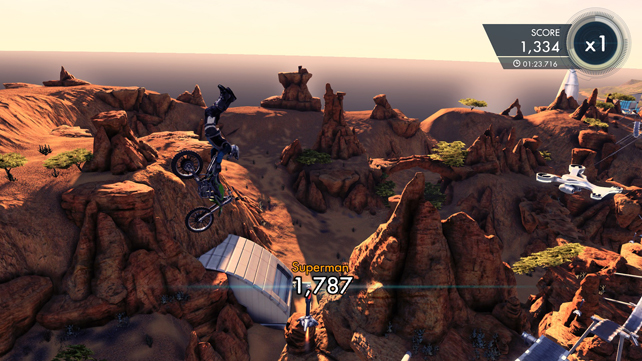 Once you’ve medalled on a track there is still plenty to do as each trial has three optional challenges to complete. These range from completing a set number of moves on a zero fault run, to finding a hidden warp zone and completing bizarre missions. I’ve found tennis with a penguin, a 3D FPS maze, and even a couple of alternate camera modes during my explorations; and that’s before we get on to the very, very creepy squirrels that are hidden in each level. There are several different vehicles you can unlock, and there are perfunctory clothing options where you can customise your rider and ride with the cash you’ve earned from completing the stages, but they’re nice additions rather than things you’ll spend too much time on. So you might be wondering what there is to do after finishing the game? Well, there’s the multiplayer side and the track editor to contend with. Multiplayer takes the form of ghost data riding alongside you in the most unobtrusive way possible – just a floating name, and my word does the competitive streak kick in! The Codec Moments team haven’t been like this since MotorStorm RC, you have to actively stop trying to beat your friends otherwise you’ll never see the other things the game has to offer. Brilliantly simple, like all competitive games should be. There’s also head-to-head multiplayer as well if you want to get stuck into that. The track editor is a bit of a surprise here. I was expecting some random terrain generation and choosing what obstacles to drop in theride path. Nope. Think of Little Big Planet Karting and you’ve got more of an idea of what you’re dealing with, but still not quite. 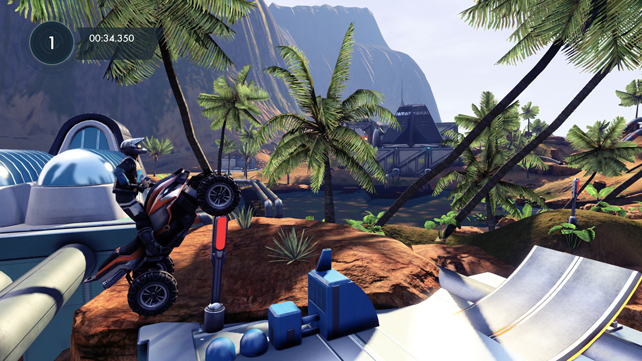 The map creator is the full world that Trials Fusion is set in, and you build your track by navigating to wherever you want in that world and dropping your start point, then defining it from there. What you feel should be a constricted approach considering you’re in a game that only works in 2 dimensions turns out to be a freeform idea that gives you scope to do pretty much anything you want. Throw on top of that mechanisms that you can build into the very flexible engine to script dynamic events in your own levels, and this could turn out to give Trials serious longevity. Very impressive, and already some great levels out there for you to sample before diving in to make your own. Just be aware of the lack of help in the editor and some fiddly camera work, which hopefully will become second nature with a bit of practice. So that should be it then, but it’s not. The menu screen has a couple of strange options that aren’t active yet – Pyrosequencing and Step into the Light – which could be linked to DLC, or could be future content delivered by a patch. 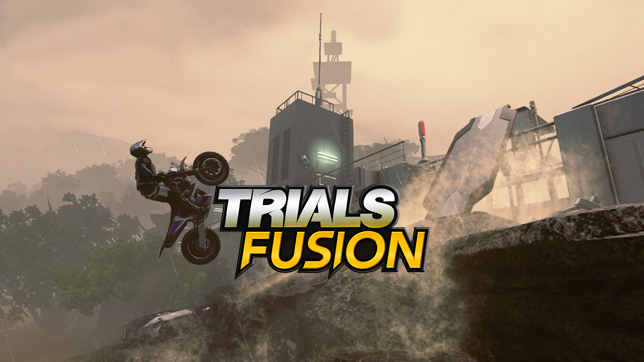 There’s also the fact we don’t know what the DLC is yet, and it could take the form of new trials, skill events or FMX courses, or be additions to the track editor and user generated content system. Everything looks to be in place for Trials Fusion being around for the long haul, which isn’t bad considering the price of the game and season pass combined. I strongly recommend this game for its simplicity combined with depth and reward, but it’s best if I just let the gameplay do the talking for itself. 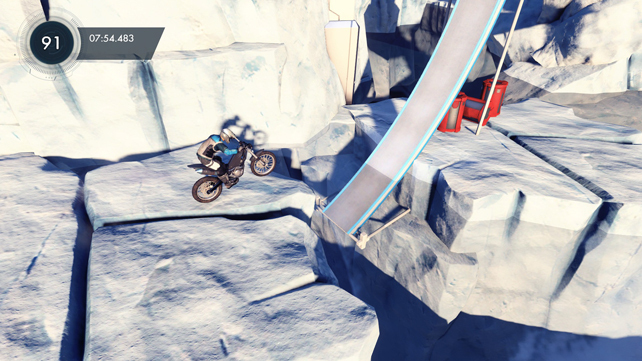 Trials Fusion by Red Lynx is available now for PlayStation 4, Xbox One, Xbox 360 and PC.